To say that this game sucked would be an understatement. Let’s go ahead and discuss! * Could not be happier to see Matt Holliday and Allen Craig hit back to back homers in the sixth inning. It was Holliday’s 12th homer of the season and Craig’s 8th of the season. And then consider the amazing performance on the mound from Adam Wainwright in which he pitched 7 innings, striking out 8 batters, and giving up only five hits and one earned run. We should have had quite the winner to talk about. * Jason “The Closer” Motte. Yeah. Mot-tay served up a fat pitch to Billy Butler, who sent the ball over the fence in left center. This was his fourth … that’s right 4th … blown save of the season. He did pitch one more inning and was able to strike out three. But … he did the damage with serving up that pitch to Butler. * Extra Innings. 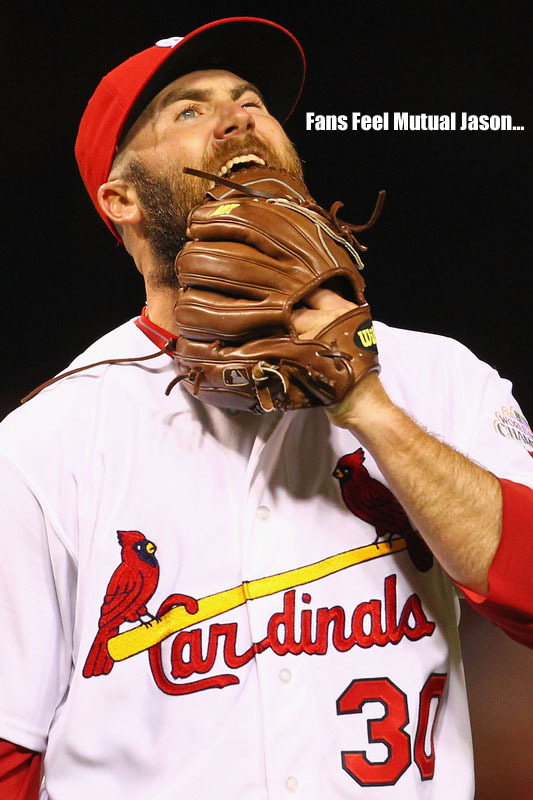 The Cardinals had plenty of opportunities in extra innings but never could capitalize, opting instead to play catch up. But the catch-up game became too much. In the 15th inning, Yuniesky Betancourt homered off Eduardo Sanchez. So the Cardinals lost the series to the Kansas City Royals. They have the day off tomorrow. A much needed day off. They will take on Justin Verlander and the Detroit Tigers on Tuesday. Go Cards!